Introduced in April of 2004 at the AES exhibition in Berlin, the ICON D-Control represented a coming-of-age for control surface technology in the professional audio industry. 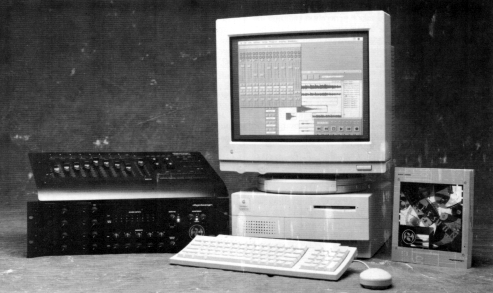 Digidesign, at that time an independent audio division of Avid, had been developing hardware controllers for their DAW software for a number of years, their first control surface dating back to the 1994 release of R1, an optional mixing surface addition to the Session 8 system, pictured below. Up until the release of D-Control, this development had culminated in the Control 24 and Pro Control, both introduced at a time when the Pro Tools Mix hardware system was growing into the industry standard DAW for music, TV and film post production. The smaller, fixed format, Control 24 and modular Pro Control helped pave the way for the acceptance and success of a large format ‘console style’ control surface. D Command followed a year behind D Control, having only two rotary encoders per channel vs. 6 on D Control, alongside reduced centre section, forgoing the same level of dedicated control to fit a lower price point and much reduced footprint. At launch the ICON series shipped in light blue, this changed late in 2007 with the introduction of the espresso black ‘ES’ model. The change in control surface and LED colour layouts having been prompted by feedback on the legibility of text on the lexan, when being read in the low light environment of a studio. D Control and it’s smaller sibling D Command formed, collectively, the ICON series of control surfaces. 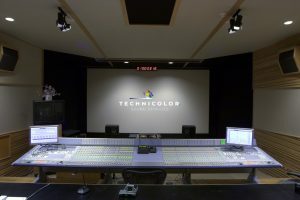 Whilst used across professional music, TV and Film post production; Icons found their home in television post production, becoming an industry standard the world over. Overall, the ICON series sold in the region of 6000 units in the 9-years prior to their Final Sale Date at the end of 2013. The basic configuration for D Control was 16 faders and a centre section, with the option of having the fader ‘buckets’ positioned on either side of the master module. The D Control channel strip had 6 rotary encoders and the centre section had dedicated rotary controllers for EQ and Dynamics. The keyboard and trackball trays were removable to cater for left handed and right handed use, or for the addition of a mouse as a replacement for the included trackball. Expandable in 16 fader modules to 64 faders. All D Control systems shipped with integral legs, once over 32 faders in width a middle support leg was required. Changing the width of any configuration requires the addition or removal of the correct width cross beams. The basic configuration for the D Command was 8 faders, again with the option of positioning the faders on either side of the centre section, being of a significantly smaller footprint D Command relied on the use of an external keyboard and mouse. Expandable in 16 fader modules, D Command was limited to 8, 24 and 40 fader configurations. D Command shipped with no manufacturer leg option. 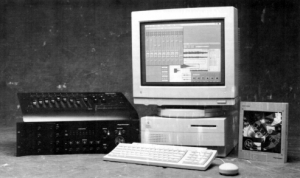 With no internally mounted panning / joystick module option, JL Cooper manufactured an external module under license from Digidesign / Avid, based on their own MCS Panner. Details of the Digidesign unit are available here. Track count, DSP and input and output configurations are all determined by the accompanying Pro Tools system. Monitoring control is handled directly and independently of Pro Tools by the separate XMON unit. XMON is an analogue rack-mountable 2U control box connected to the desk via an RS422/MIDI connection to the monitor section on the desk. The XMON analogue audio connections are addressable from the monitor panel with physical connections on 7 D-Sub connectors, facilitating Main, surround and cue inputs and outputs alongside talkback i/o, two listen mic’s, two AFL paths and a pair of mini speaker outs. Further details of which are available via the link below.